Jamie describes himself as an ‘overrated jockey, underrated trainer’ on his Twitter profile. As a National Hunt jockey, he rode for 16 seasons. A dozen Cheltenham festival victories through the 1990s and almost a thousand worldwide winners made him one of the leading riders of that era. In 2001 his second season as a trainer, Jamie trained his first Royal Ascot winner when Irony won the Windsor Castle Stakes. In 2003, Milk It Mick landed the Group 1 Dewhurst Stakes to firmly put him on the map. Since then, a steady stream of high-class winners have followed. The Royal Ascot total has risen to 6 along with much international success, including the UAE Derby with Toast Of New York, who was just inched out of the Breeders Cup Classic 2014. 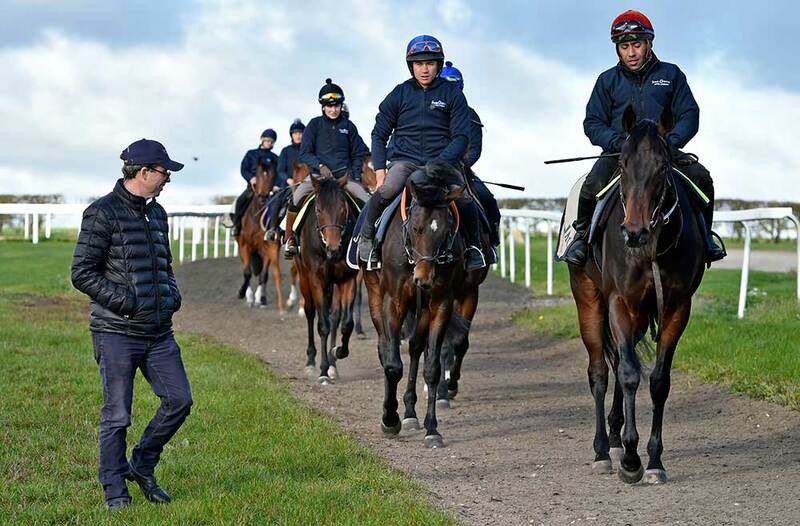 "I aim to run a medium-sized boutique stable of quality horses owned by great people"
A racehorse trainer is only as good as the people they work with. Building the right team is the key to success. Deb has been an integral part of the team for over 16 years, having previously run the office of David Nicholson at Condicote and Jackdaws Castle. The font of all knowledge and an important point of contact within the organisation. A highly successful jump jockey for 20 years, Jimmy has been a part of the team in some shape or form since day one. He has been Jamie’s right-hand man for the past 5 seasons. It has been said that if you could merge Jimmy and Jamie’s strengths together you would create the ultimate trainer. As they can’t do this, they decided to work together. We require an experienced and enthusiastic yard person to join our happy, friendly team in Upper Lambourn. Experience in all normal stable duties necessary. Free Single accommodation available. Family accommodation could arise in the near future for a couple both working in the yard. We appreciate that riding racehorses is a skilled job. As everyone knows, quality riders are in short supply across the industry. We are always looking to recruit the best riders available as we know the difference it makes to our horses. Good riding is our priority. If you are a highly skilled, reliable, conscientious rider, who enjoys working in an enthusiastic and professional team, then please get in touch. Our standards are high and we only recruit the best! If you feel you could fit in, we would love to hear from you. Excellent wages, great working conditions and accommodation are available if you can meet our criteria. DISCLAIMER: Jamie is always keen to hear from new clients but please do not contact us if you are a bad loser, slow payer or looking for gambling information.